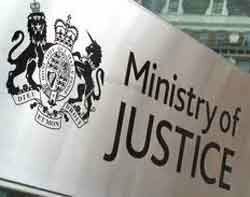 The Ministry of Justice (MoJ) has signed a £22m contract with Accenture to implement shared services across its human resources, payroll, finance and procurement operations for the next five years. The shared services move will be rolled out across HM Courts and Tribunals Service, HM Prison Service and the Ministry of Justice Head Office to create a common platform for the MoJ's Enterprise Resource Planning (ERP) system. It is expected to create savings of £28m a year by 2014 and is one of the first pan-departmental shared service solutions in the UK central government. As part of the move the MoJ has also signed a £14m infrastructure-as-a-service contract with Savvis. The company will provide the MoJ with access to its government wide service, an infrastructure-as-a-service platform available to all government departments and third-party suppliers in the UK. Accenture has been selected as the overall systems integrator, to design, integrate and deliver the shared service system for around 80,000 employees. Along with Savvis it will also work collaboratively with Steria. Last February the MoJ announced it was looking for a is looking for a contractor for an £85m shared services programme.